2019 International Year of Indigenous Language is on! The International Year is an important mechanism dedicated to raising awareness of a topic of global interest and mobilizing different players for coordinated action around the world. In 2016, the United Nations General Assembly adopted a resolution (A/RES/71/178) proclaiming 2019 as the International Year of Indigenous Languages, based on a recommendation by the Permanent Forum on Indigenous Issues. At the time, the Permanent Forum expressed concern that 40 per cent of the world’s estimated 6,700 languages were in danger of disappearing— the majority belonging to indigenous peoples. 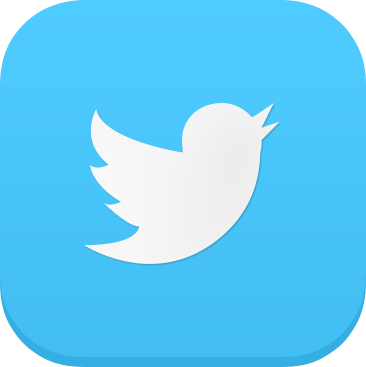 The International Year has triggered a fervor of activities around the world. Indigenous Peoples and their organizations, universities, states and others are focusing attention on this long-neglected issue. Columbia for example organized an international symposium on Global Justice for Indigenous Languages in April 2018 (see http://icls.columbia.edu/events/global-justice-for-indigenous-languages-a-symposium/ and http://humanrightscolumbia.org/news/global-justice-indigenous-languages). In October 2018 in Ann Arbor at the U. Michigan a conference was held on "Indigenous Languages: From Endangerment to Revitalization and Resilience". In September 2018 an international Conference took place on the “Role of linguistic diversity in building a global community with shared future: protection, access and promotion of language resources”, organized in Changsha, China, with participants representing governments, national language harmonization institutions, academia, public and private sector, and speakers of minority and indigenous languages. The conference adopted the “Yuelu Proclamation on The Protection and Promotion of Linguistic Diversity of the World”. The Proclamation is available in English and Chinese [Yuelu Proclamation: English | Chinese]. The Institute for the Study of Human Rights was represented at the Conference by the Director of its Indigenous Peoples’ Rights Program (IPRiP). On February 1st, 2019, an official launch for the International Year took place at the UN General Assembly, with state representatives and Indigenous leaders taking the floor to welcome the Year and call for action. The High-Level Panel at the beginning included President Evo Morales of Bolivia, Grand Chief Ed John (Akile Ch’oh), Tl’azt’en Nation, Gabriel Cisneros, Vice-Minister of Culture and Heritage of Ecuador, and Aili Keskitalo, President of the Sami Parliament in Norway. The Indigenous Peoples’ Rights Program of ISHR is grateful to Derechos Linguisticos , and Myriam Yataco in particular, for allowing us to use their extraordinary poster on our website! 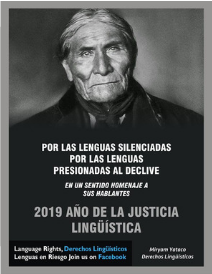 The poster reads (informal translation into English): “For the silenced languages, for the languages that are pressured towards decline, 2019 Year of Language Justice”.